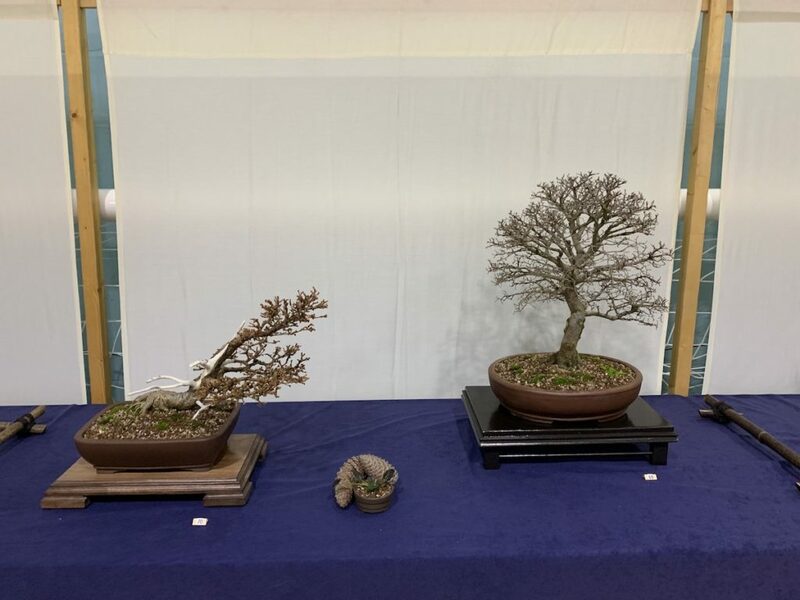 This year was the first year for Alan to put on a bonsai display as a club member and he presented his Japanese larch (larix kaempferi). 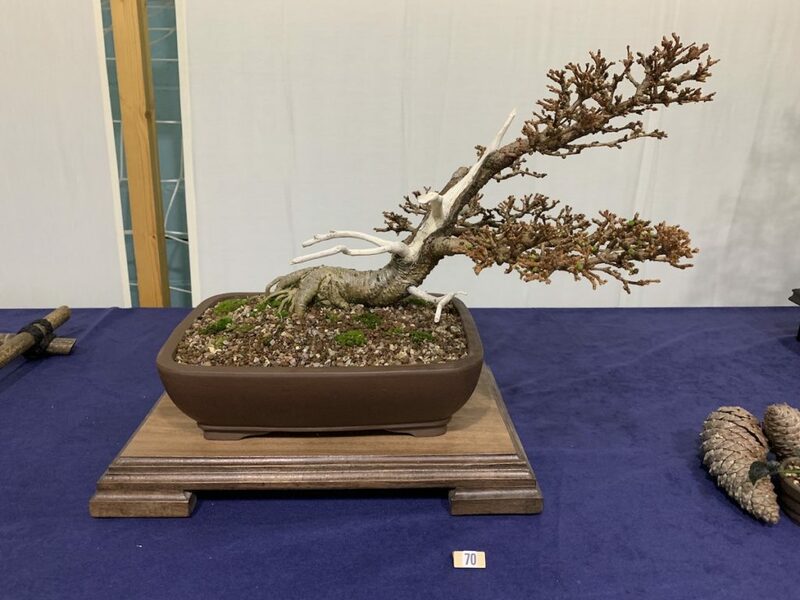 He has grown it from seed for the past 15 years and it is in a brown slipware pot. 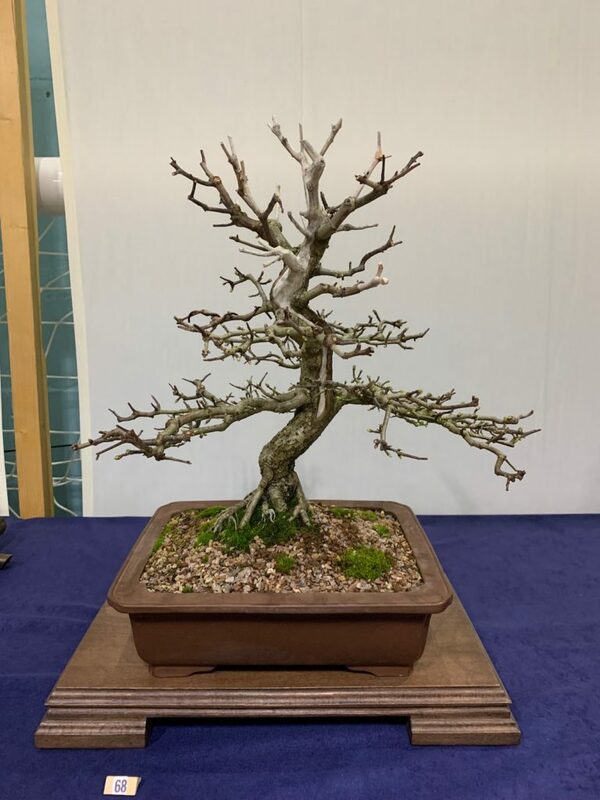 To accompany the larch was an English Elm, which he has grown from a cutting for 13 years. 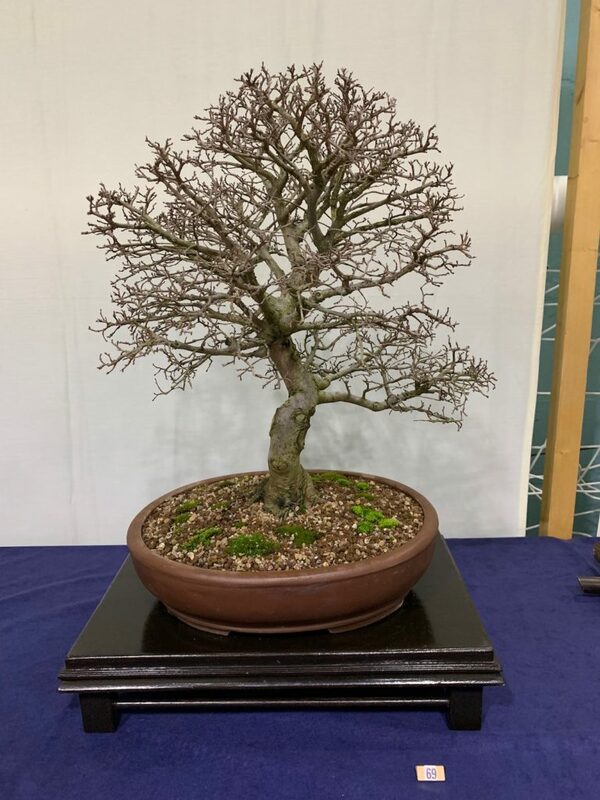 His second display contained a common Hawthorn (Crataegus monogyna), which he has grown from seed from 15 years ago which is also in a brown slipware pot. 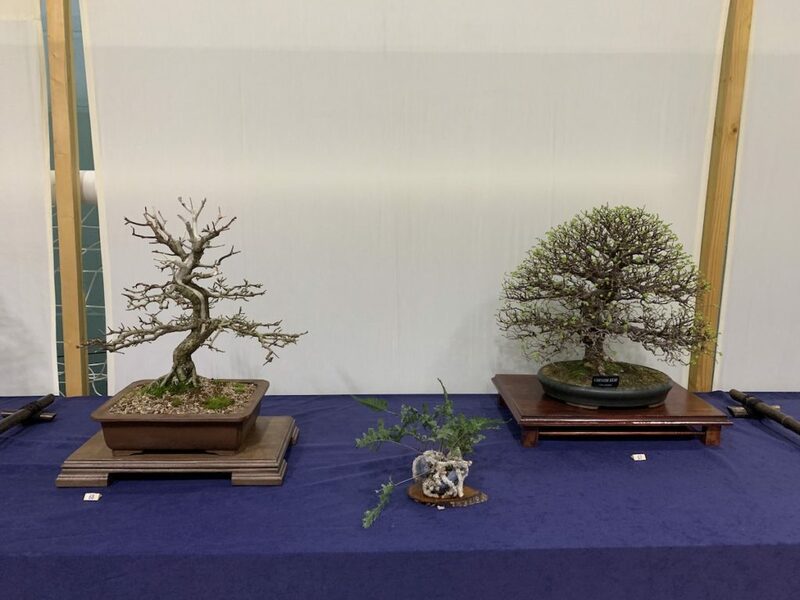 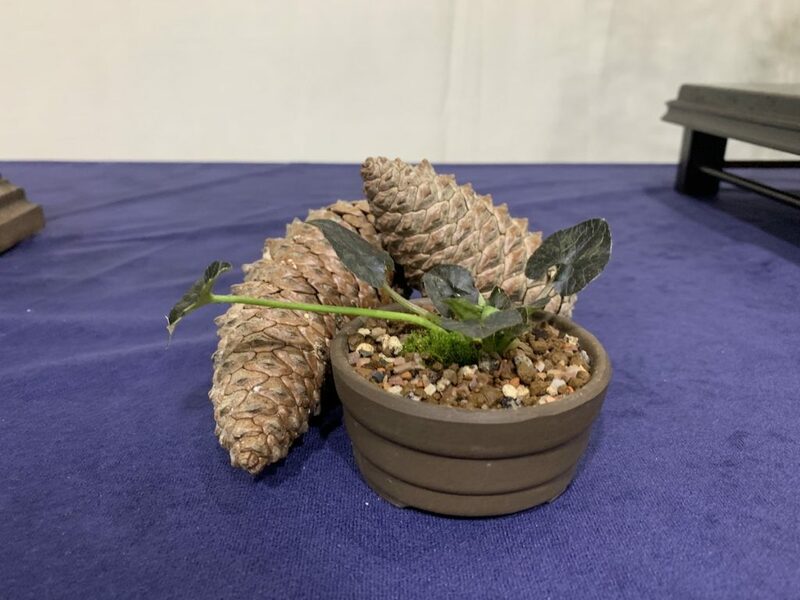 Posted April 9, 2019 by AW & filed under Members Trees, Show Reports, Winter Show.